Henry has explored every nook and cranny of our house (that he can reach) and most of his toys fail to thrill him like they used to. A lot of times I think he is fussy just because he is bored. Plunking him down on the floor with a rattle isn’t going to cut it anymore. He wants to explore new things, solve puzzles and learn cause and effect. I did a little brainstorming and came up with a list of fun new activities for Henry and then decided to share them with you over the next month in a series called 20 Days of Playing With Baby. 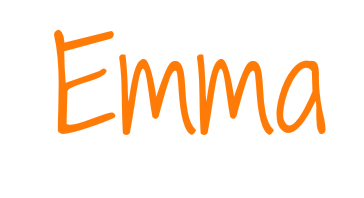 None of these ideas are Earth shattering, supper cool, never been done before activities but maybe you haven’t tried them before or maybe they will help spark a fun new activity of your own. 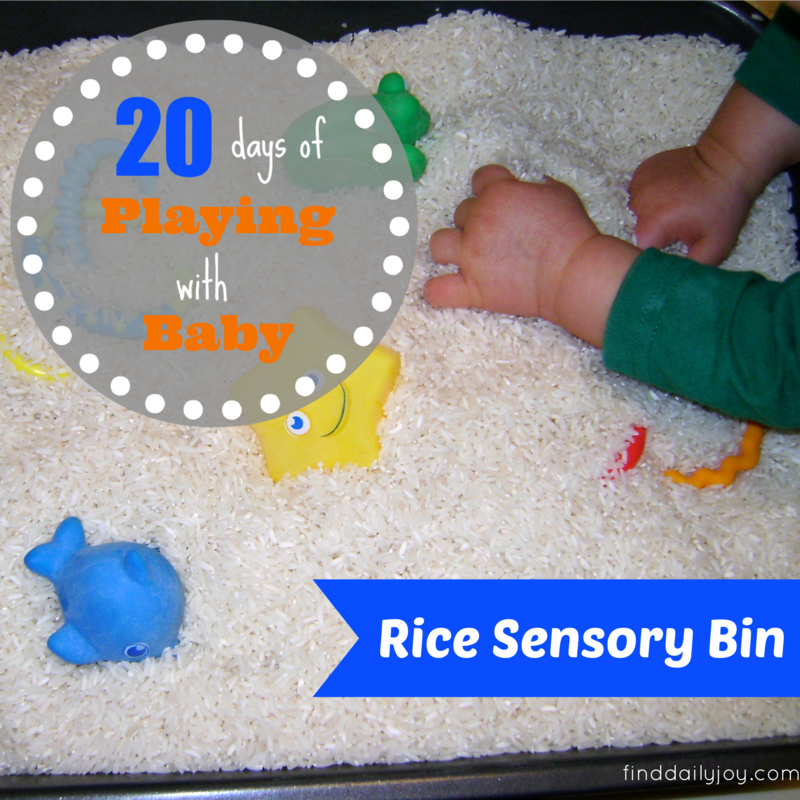 First up…..the rice sensory bin. I have seen this idea all over the internet and really didn’t understand why it is so popular. 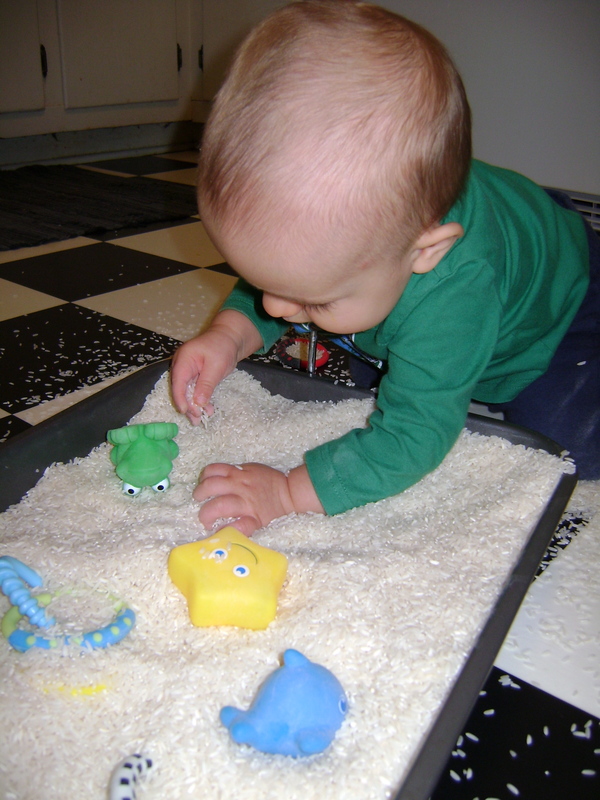 Then I tried it and realized that is like playing with sand but without as much mess and safe for babies to put in their mouth. I poured the dry rice into a roasting pan because that was all I had at the time. However, I did later buy a plastic storage bin so that in the future we can play with the rice right in the bin and then close it up with the lid when we are done. 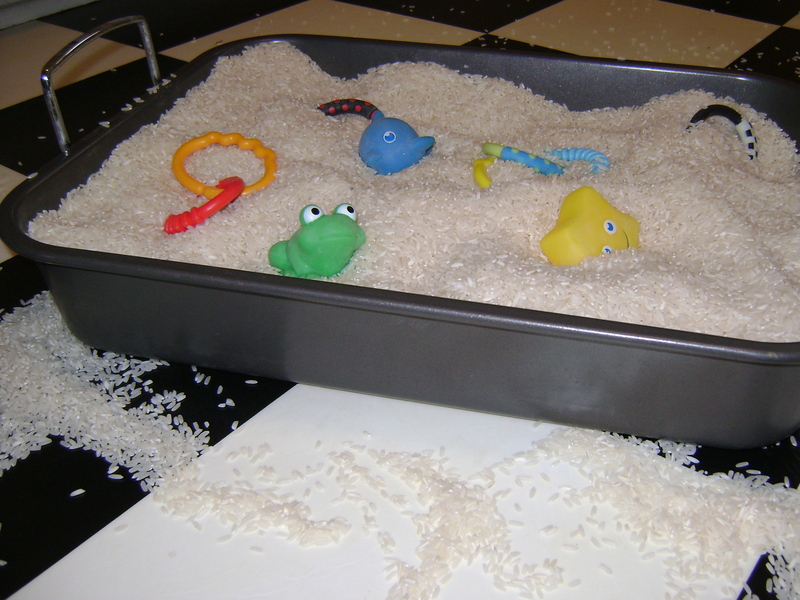 After the rice was in the bin I partially buried small plastic toys for Henry to find and dig out of the rice. 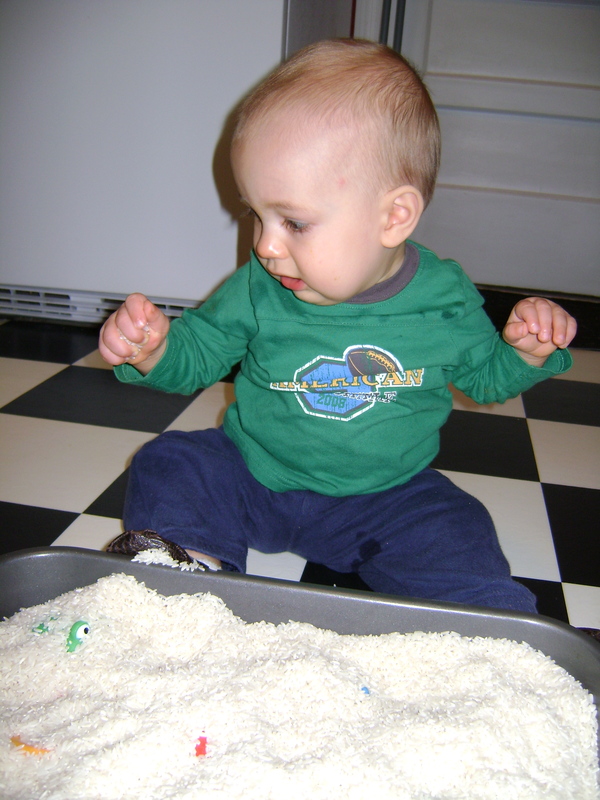 At first Henry raked his fingers through the rice and grabbed it by the fistful. 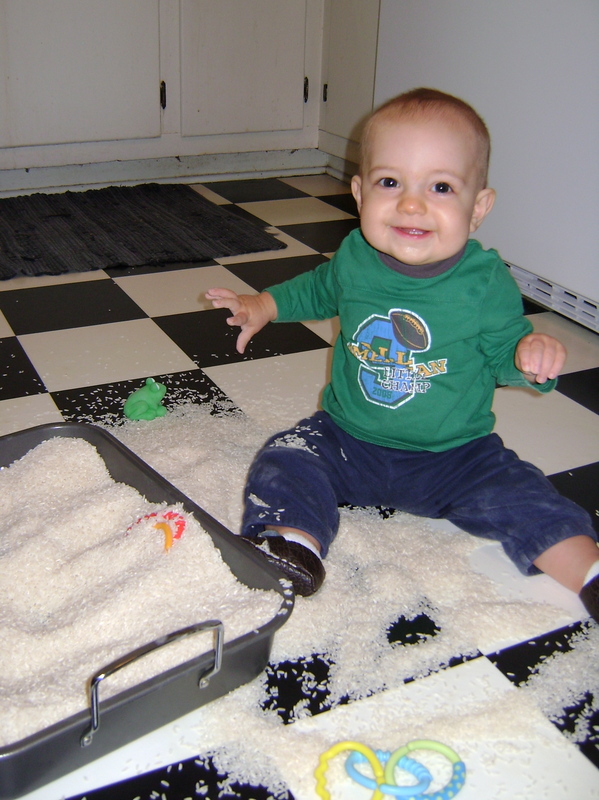 The rice made an interesting noise when he dropped it on the floor so he decided to do that over and over again. I let him take the rice out of the pan for a while before I scooped most of it back up and encouraged him to play with the rice and the toys inside the pan. Next time I think I will add spoons and measuring cups so Henry can practice scooping and pouring the rice.